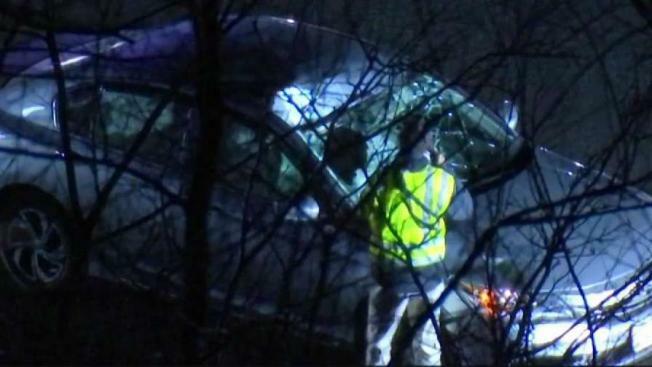 A man who was hit by a car on Interstate 93 Sunday night has died from his injuries, according to Massachusetts State Police. State police say troopers responded to I-93 southbound in Braintree for a report of a man lying in the middle lane around 8:30 p.m. When they arrived, they found that the man had been hit by a Honda Accord and was unresponsive. First responders gave him medical aid at the scene, including administering CPR, but he was still unresponsive. Paramedics took him to South Shore Medical Center, where he was pronounced dead. His identity has not been released. Three women who were in the Honda Accord were taken to Milton Hospital. Their conditions are unknown. The crash caused officials to temporarily close I-93 southbound. Authorities say they're still investigating the crash, including why the man was lying in the roadway.